A special economic zone (SEZ) is an area in which business and trade laws are different from the rest of the country. SEZs are located within a country's national borders, and their aims include: increased trade, increased investment, job creation and effective administration. In this article we will take a look on SEZs in detail. A special economic zone (SEZ) refers to designated areas in countries that possess special economic regulations that are different from other areas in the same country. These regulations tend to contain measures that are according to the norms of foreign direct investment. Doing business in a SEZ usually means that a company will receive tax incentives and the opportunity to pay lower tariffs. To encourage businesses to set up in the zone, financial policies are introduced. These policies typically regard investing, taxation, trading, quotas, customs and labour regulations. Additionally, the companies may be offered tax holidays i.e., they are granted a period of lower taxation. Most countries set up SEZs in order to attract some FDI. Export processing zones (EPZ) : It is a type of free trade zone (FTZ), set up generally in developing countries by their governments to promote industrial and commercial exports. Free zones/ Free economic zones (FZ/ FEZ) : The term is used to designate areas in which companies are taxed very lightly or not at all to encourage economic activity. The taxation rules are determined by each country. Industrial parks/ industrial estates (IE) : It is an area zoned and planned for the purpose of industrial development. An industrial park can be thought of as a more "heavyweight" version of a business park or office park, which has offices and light industry, rather than heavy industry. Free ports : A port or special section of a port where goods may be unloaded, stored, and shipped without payment of customs duties is called a free port. It is open under equal conditions to all traders. Bonded logistics parks (BLP) : In a BLP, goods may be stored, manipulated, or undergo manufacturing operations without payment of duty. Urban enterprise zones : An urban enterprise zone is an area in which policies to encourage economic growth and development are implemented. Here policies generally offer tax concession, infrastructure incentives, and reduced regulations to attract investments and private companies into the zones. Free zones have been used for centuries to guarantee free storage and exchange along different trade routes all over the world. Modern SEZs appeared from the late 1950s in industrial countries. From the 1970s onward, zones providing labour-intensive manufacturing have been established, starting in Latin America and East Asia. These type of zones started being called as Special Economic Zones. India was one of the first in Asia to recognize the effectiveness of the Export Processing Zone (EPZ) model in promoting exports, with Asia’s first EPZ set up in Kandla in 1965. 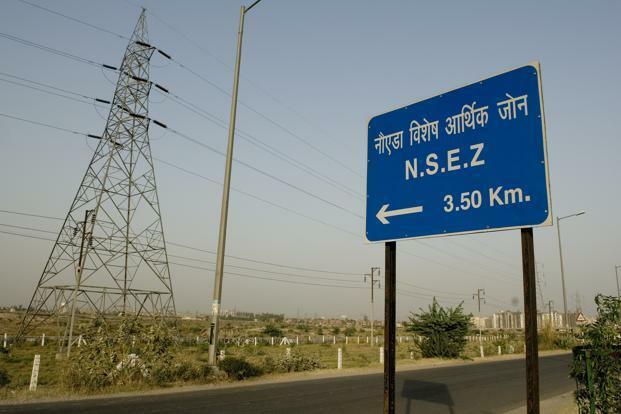 In India, the Special Economic Zones (SEZs) Policy was announced in April 2000. There has been a recent trend for African countries to set up SEZs in partnership with China.